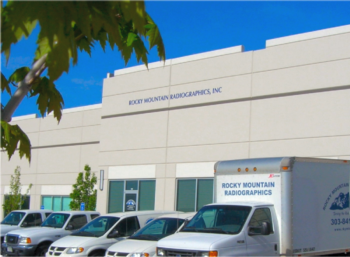 Rocky Mountain Radiographics, Inc. was originally founded in the late 1960's as a silver reclamation company by James Blackburn. 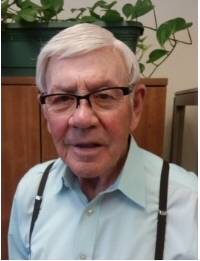 Soon after, Jim began selling xray film out of his home in Parker and incorporating his company as Rocky Mountain Radiographics, Inc (RMR) in 1971. 47 years later, Rocky Mountain Radiographics is still a family owned company in the Southeast Denver area near Centennial airport, the office is open weekdays from 8am-4pm. A Born Entrepreneur and dedicated business owner with a heart of gold. He has a supportive and beautiful wife, Marcia of 59 years. They devote a lot of their spare time into their 3 children and 9 grandchildren, traveling to every sporting event to offer their support. 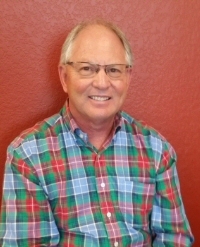 Craig is our VP of marketing with over 47 years of experience in the Radiological field. Craig started when he was just 10 years old helping his dad grow the business. His 1st job was picking up bulk used fixer which they loaded into the back of their car minus the seat. He then got to wash out those containers for the next delivery. make sure we provide the best possible service to you, our customer. Craig has in depth knowledge in all facets of the business and is ready to help you with your x-ray needs. Craig enjoys traveling with his wife and is very involved in the music ministry within their church. We couldn't be more thrilled to have John as our new Sales Director! He has been a welcome addition to the RMR Team. He has over 25 years of Technical Sales and Mangement experience under his belt. He enjoys working in the medical field and the fast pace of vast imaging technology advances. John is a Colorado native, although he claims he was kidnapped and taken to Chicago in 1987 to try the food and see the Cubs play at Wrigley. He stayed for 13 years before happily returning home to Colorado. Some of John's favorite pastimes include spending time with his boys, fly fishing and watching the Rockies, Avs and Broncos. The office at RMR is under the excellent leadership of Teresa Greenhalgh. Teresa has been with us for more than 12 years and continues to provide her wonderful organizational skills and attention to detail that keep our staff and operations running smoothly. Being a charmingly spunky Irish lass, we’ve come to rely on Teresa to “keep it real” around the office and with our customers and suppliers. When she’s not at the office, Teresa is a busy wife and proud mom of two awesome kids who fill her weekends and evenings with a wide variety of fun activities. Rocky Mtn Radiographics would not be the same without our little red-head!